CorkSport is pleased to announce the release of yet another Mazdaspeed 6 product, the CorkSport Mazdaspeed 6 Front Sway Bar! The newly released Mazdaspeed 6 Front Sway Bar will improve handling by minimizing body roll during cornering and reducing understeer by strengthening the lower suspension connection across the front with a larger diameter bar that has been engineered to match the stiffness of the CorkSport Rear Sway Bar. The Mazdaspeed 6 Front Sway Bar is made from CNC machined 28.5mm 4130 steel and provides 70% more stiffness than stock front sway bar. The powder coated black finish offers long lasting durability and performance. The included polyurethane mounting bushings eliminate the sloppy handling caused by the stock rubber bushings and offer long life and resistance to common contaminants that would destroy rubber bushings. 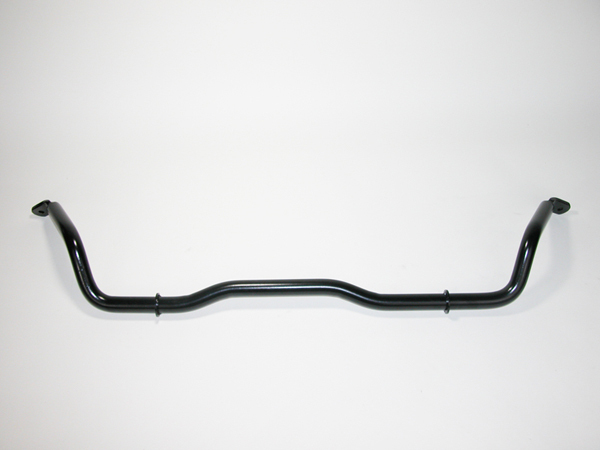 The CorkSport Mazdaspeed 6 Front Sway Bar can be purchased as a set with the CorkSport Mazdaspeed 6 Rear Sway bar for $358 or can be purchased as a standalone product to compliment your current Mazdaspeed 6 suspension set-up for $199. Will this ever be produced again?